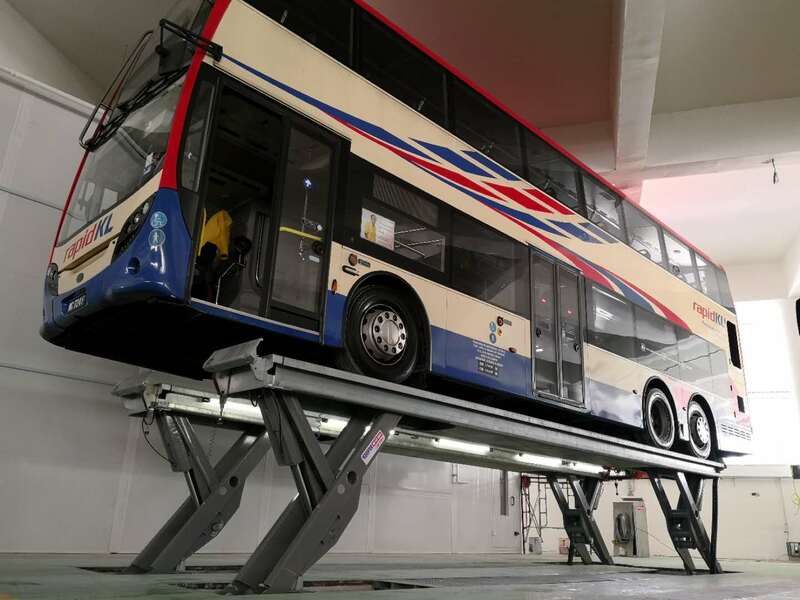 Stertil-Koni supplied and installed four SKYLIFT Wash bay platform lifts for Rapid KL in Kuala Lumpur Malaysia. 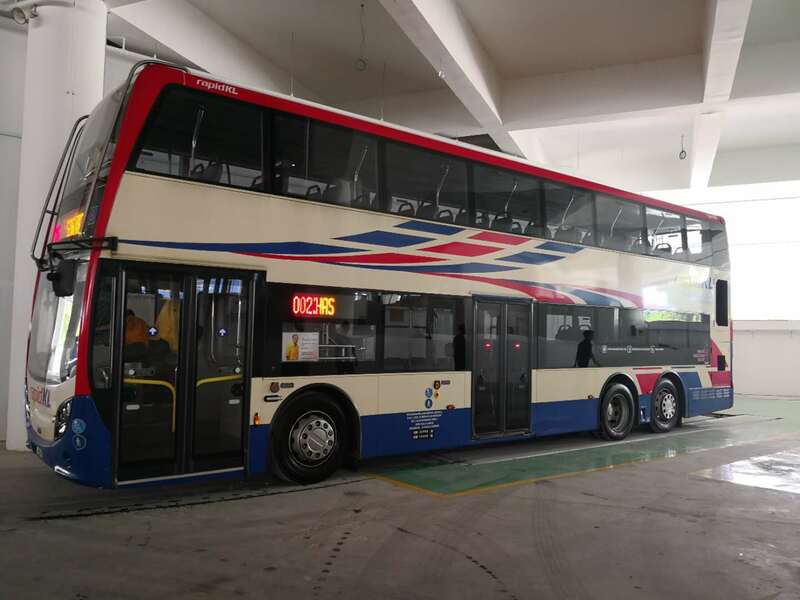 Due to the humid weather conditions Rapid KL were recommended to choose the galvanised weather resistant SKYLIFT Wash bay version. The project was coördinated and managed by our exclusive dealer in Malaysia Industrial Tools & Equipment Sdn Bhd. The four Wash Bay SKY250-FM lifts have 9M metre galvanised platforms and have the "reversed roll off protection" which prevents contact and damage between the lift and the vehicle. Another advantage is that the platform is lengthened by 480 mm which offers more flexibility for a wide range of vehicles. The flush mounted SKYLIFTs' which have been installed, have the optional galvanised automatic recess cover plate system, allowing the engineer complete access of the vehicle. The SKYLIFT platforms have Stertil-Guard Anti-Skid suitable for all climate conditions in and outside the workshop. All control consoles have a cabled remote control attached for convenient operation. All maintenance jobs can be done at any required height and to make wheel-free maintenance jobs possible a 16 t Jacking Beam has been installed on each lift. The SKYLIFT is also equipped with LED lighting and air supply kit for ease of use and handling. We would like to congratulate Rapid KL with their new bus depot which opens on the 1st of April 2018.